Until I really dug in to take a look – I didn’t even realize how many of the amazing Amazon Prime benefits we were using on a regular basis. There are some new ones, and some that have been around from the beginning – that might just surprise you! 1. 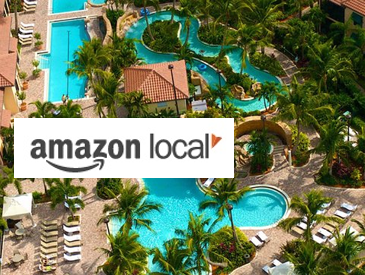 Amazon Local – Save up to 75% and often more – when you book local dining, events, and entertainment through Amazon Local. Amazon will target your area, or an area where you’ll be visiting and find big discounts on zoos & aquariums, dining, hotels and pretty much everything under the sun. Have a special event coming up and need to celebrate with a loved one or family? Try a petting zoo, a massage session, take a pottery class or buy flowers! You never know what you might come across – so check often! It can be a wonderful option for families to afford entertainment they wouldn’t regularly do at full price. 2. Today’s Deals & Lightning Deals – Around Christmas time – you may have seen the hype about Amazon Daily Deals & Lightning Deals . . . but did you know that they have them year-round? It’s truth. You’ll find these “gold box” daily deals to be between 25% – 85% off and the products are limitless. 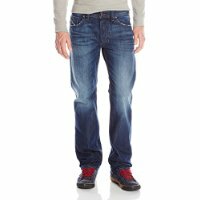 Today, I found designer jeans for my husband at 50% off . 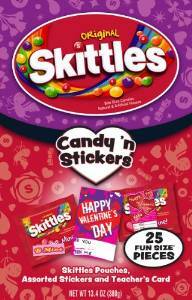 . . and I’m waiting on the Valentine’s candy deals to hit at 4 pm. The lightning deals will start at various times and run until they are gone or time is up. It’s a great way to pick up discounted gift items. 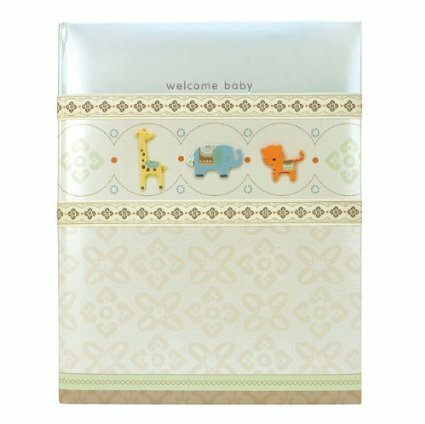 One tip is to keep an ongoing list of births, weddings, birthdays, holiday gift requests and celebrations which you’ll be needing gift items for so that when you come across the right price – you know exactly what you’ll need or who it should go to. Keep a box on a shelf to store items. You can even wrap them ahead of time & have them ready to roll out to recipients if you want to be completely ahead of the game. (That most likely won’t happen at my house, but I can aspire to it). 3. 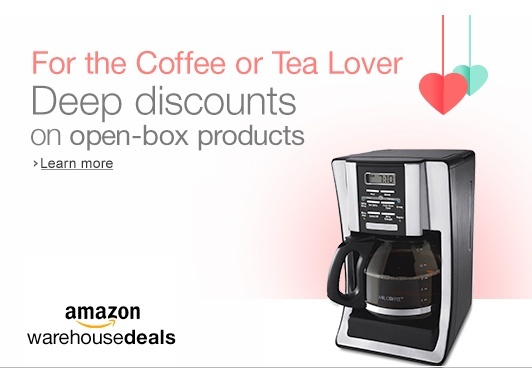 Warehouse Deals – Deep discounts on open-box and used items. These items are often those that have been returned by customers who ordered the wrong thing, others are used items with descriptions for you. Many are household items like paper towels and such that can be bought in bulk for a fraction of the cost. I purchased my husband a special electric grill for Valentine’s Day and saved over $80 & got free shipping! I’ve had my eye on these for awhile – so when I saw it on special (open-box) I had to grab it. 4. Prime Membership video streaming – Get rid of monthly cable bills! For $99 a year (less if you grab it on sale) you can enjoy free 2 day shipping, instant streaming of TV and videos, free photo storage, music & more. If you do shop online regularly, and want to get rid of cable – this is a terrific option & one I will never go without. For instance, today I found the Popular Mechanics for Kids – 5 DVD Set on sale for 15% off . . . and get free shipping with Prime – but I can also stream the videos for FREE with my Prime membership – so I don’t even need to purchase unless we simply want to own the DVD’s. 5. Prime Pantry – Shop food & snacks, cooking, beverages, household, pets, and personal care. The pantry boxes ship for a flat fee of $5.99. Get low prices and extra savings with hundreds of coupons that will be applied with a click of the button. My favorite thing about the Prime Pantry? Gluten Free & specialty healthy items. I bought a HUGE tub of coconut oil to use in our food and healthcare for a steal this month! I LOVE the purchases that have coupons attached and you can shop JUST those if you like. Today – I got a HUGE bottle of Dove shampoo for less than $3 . . . delivered to the door. I also picked up Kettle Cooked chips (that we love) for $1.81 – now, you may beat the price with grocery store BOGO’s and coupons – but it was less effort and time on my part & worth it for me today. 6. Amazon Trade-in – Did you know you can earn free gift cards from Amazon by trading in the stuff you don’t want? That’s right – as long as it is in re-sale condition – you can earn gift cards by sending them your things! That’s better than Goodwill any day! (Don’t get me wrong – I’m all for giving things away to anyone in need & we drop things off at Salvation Army regularly) BUT, I’m also for making the most of our family resources . . . and I adore Amazon gift cards as payment for services rendered. There are 3 basic steps to the process: Select item for trade in & get an instant quote – ship it (free of course) – and then get paid with a gift card! Simple, easy, and you can take it to the bank – well, take it to shop anyhow! 7. Subscribe & Save – Receive a discount off the Amazon and Amazon Marketplace everyday low price, free standard shipping, and the convenience of automatic deliveries when you receive your subscriptions on your monthly Subscribe & Save delivery day. There are no commitments, obligations, or fees and you can cancel a subscription at any time. 8. Amazon Supply – Need business tools, furniture, or supplies for education? This is the place to check. 9. Amazon Home Services – Choose from Home Improvement, Lawn & Garden, Automotive, Computer & Electronic . . . and so much more! Need someone to hang your new flat screen? Amazon may have a trustworthy handyman available in your area. Services are backed by Amazon’s Happiness Guarantee – and price matching too! This is a growing trend and a new specialty on Amazon – so keep checking back to find out what is available in your area – if you have a business providing services be sure to let the know. It could be a great way to advertise your own business. 10. Prime Music – Prime Music provides unlimited, ad-free access to Prime Playlists and more than a million songs and albums at no additional cost for active Amazon Prime members in the U.S.
11. Prime Photos – Store your photos safely in Cloud Drive and you can access them anywhere, from almost any device by signing in with your Amazon account. Cloud Drive offers free mobile apps, secure access from any computer, and it’s built in to all Fire devices. With Prime Photos, the photos you’ve previously uploaded to Cloud Drive and photos you upload in the future will not count against your Cloud Drive storage limit. In addition to the unlimited photo storage, you will also receive 5 GB of free storage space that can be used to store videos and files we can’t recognize as photos. 12. Kindle Owners Lending Library – read thousands of book choices free with the lending library. 13. FREE Two-Day Shipping – earn extra Kindle FREE points when you choose no rush shipping to purchase additional Kindle books free! 14. Amazon Mom – FREE with your Prime Membership – get 20% off on diapers, free shipping & have them delivered to your front door! 15. Frugal Family Deals & Steals – Join our private Facebook group (for FREE) where we post some of the best deals from Amazon and other favorite stores – for Christmas and all year long. You can even submit requests. 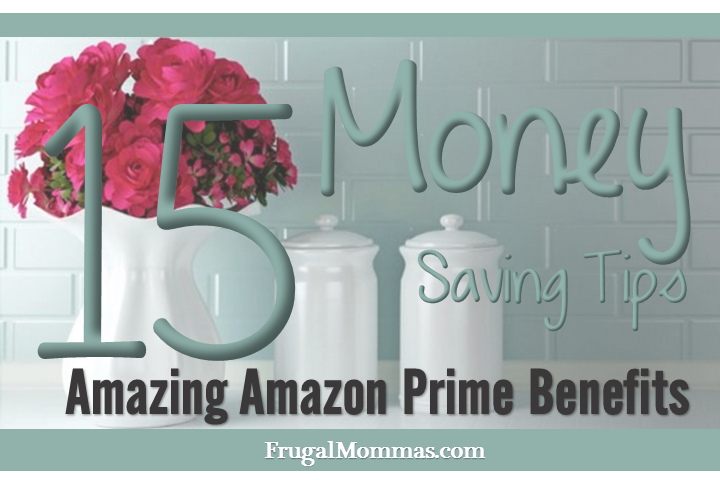 Amazon Prime Membership goes a long way towards abundant living on a frugal budget! & save money with free shipping, low prices, streaming TV and have supplies delivered right to your door!